Want a know how to check your chakras to see it they are in balance? Our Chakras are very important to the flow of energy that moves through our bodies, if one or more of these become blocked we feel unwell. Tired, low, more prone to illness. Now I’m not saying all illness is down to blocked chakras because that is not the case and please seek medical advise when you need to. However the following will definitely help you to understand what is going on with your body and how you can help yourself. First let me explain what a chakra is/are! A Chakra is a point in the body where energy flows into us from the elements around, they help to maintain the bodies vital systems. As I said above when they become out of balance or blocked we tend to feel off colour. We have 7 main Chakras, Base, Sacrel, Solar Plexus, Heart, Throat, Third eye and Crown. There is a controversial 8th which is the Thymus. I will explain this one too as it is linked to the immune system. NOTE: You may feel some discomfort when do this meditation on the chakras this is normal so do not worry, but do take note of it! 7th Base/Root – this is situated at the base of your back the Coccyx. it can help to stimulate you can get you going. 6th Sacrel – located just below the belly button. 5th Solar Plexus – just about the belly button. is your nerve centre (how many of us get a fluttery stomach when we are nervous or feel sick) this is where this feeling is coming from. 4th Heart – the heart. Your emotional hub, where you feel happy or sad, angry or full of excitement. All comes from here. How we give and receive love. 3rd Throat – bottom of the throat. 2nd Third Eye or Brow – located just above the bridge of your nose. 1st Crown – the top of your head. Linking to your higher self, being able to open yourself up and let go, relax. Also 8th Thymus – located under the throat but above the heart. Now for reading them. You will need a quiet space where you will ne be interrupted. Layout on the floor or bed, you can have a pillow under your head if you feel more comfortable that way. Make sure you are laying as flat as possible, this lets the energy flow more easily. Or you can sit upright but comfortable as long as you can achieve a good posture. Take a couple of deep breathes in through the nose and out through the nose. Then let your breathing relax in to a nice rhythm. We will start with the base chakra, you can visualise a colour if you like it can help, this one is red. 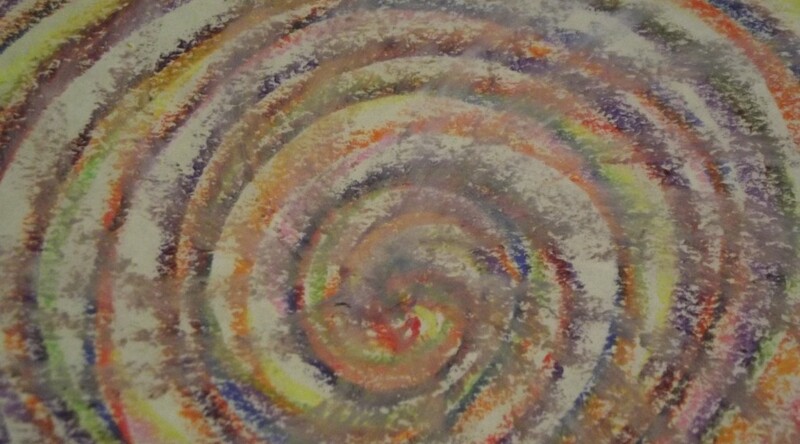 Now I would like you to visual this colour in a spiral/vortex it is hopefully spinning. Try to take note (mentally for now, but might be useful to keep a diary) of how well it is spinning, what direction. Now see if you can correct it is it needs it. We would like a nice steady rotation, not too fast and not too slow. When you have managed this or at least improved what you had then you can move on to the next chakra. The Sacrel, which is orange in colour, again repeat what you did for the base. – Thymus if you are doing is Turquoise. Which Chakras moved easily and which ones didn’t? Do these correspond with any feelings you have, things you don’t feel like doing? Do you feel better after the meditation? I can offer a guided vortex meditation where I can talk you through it and discuss your thoughts and feelings afterwards via Skype. I charge £15 per session.